Beautiful! After 20 minutes, place the wire rack on top of the cake. Gently hold the rack against the cake and flip it all over. Set the rack and pan down on your counter. If the cake doesn’t fall right out, gently tap around the bottom of the cake pan. You’ll hear a slight change in the tone of your tapping, once the cake falls out. 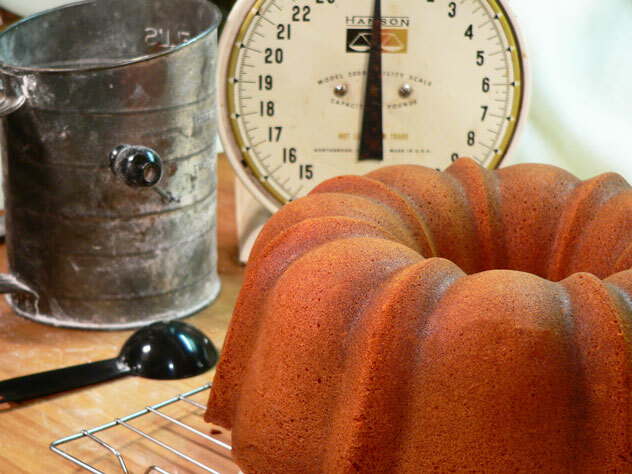 I did have to tap mine a time or two, and held my breath as I lifted the cake pan away.